Okay, this is not exactly fine wildlife photography -- you can't even tell what kind of bird it is -- but it made me laugh so I'm using it. 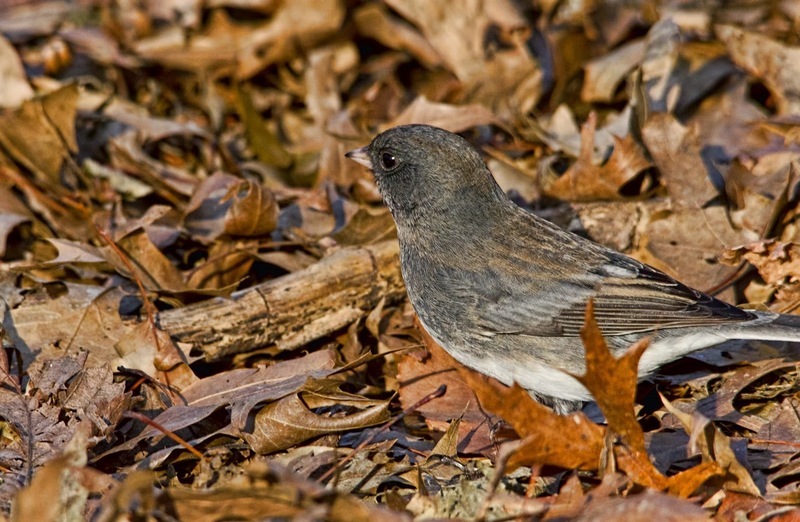 The bird -- it's a junco -- landed on the path right by my feet in the park yesterday. 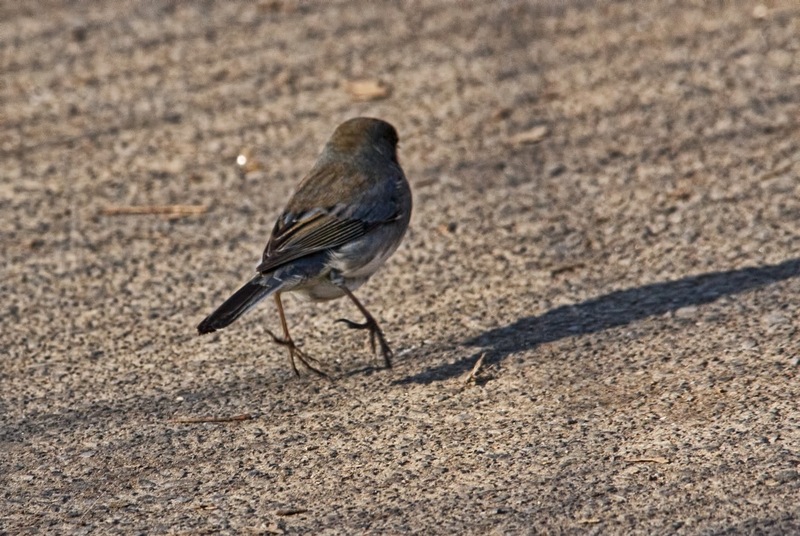 Of course by the time I'd hoisted the camera to my eye it was hopping away, and I caught it mid-hop, en pointe like a ballerina. Except that what it makes me think of isn't ballet, but Michael Jackson moonwalking. And that makes me smile. Here's a better picture of the same bird.